Now then, Having had a tutorial with the Double Hander on the Cork Blackwater with JohnO' and Damian well done lads, (hope to meet up again next year). 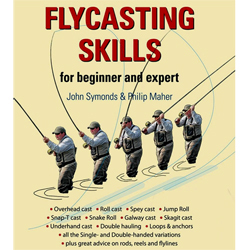 in September this Book is the next step, anyone with an interest in Spey casting this is the real deal well done. Can't get over the cost for such imformative work , a real treat.